The ear is a fascinating and complex organ. It consists of three parts; the outer ear, the middle ear and the inner ear. The outer ear consists of the pinna (the part the we see on the outside) and the ear canal. The pinna acts as a funnel, drawing sound into the ear canal. It is also responsible, to some degree, in helping us to localise sounds via reflections and distortions of the sound from the unique shape of the pinna into the ear. 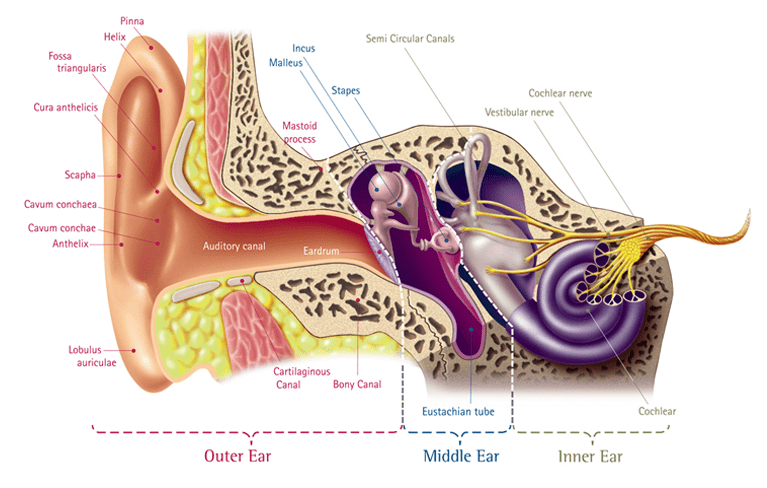 The ear canal funnels collected sounds further into the ear to the ear drum. The ear canal is often curved, with hairs and cerumen (wax) to help protect the inner structures of the ear from damage by foreign objects. The middle ear consists of the tympanic membrane (ear drum), middle ear cavity and the ossicles (the ear bones). The ear drum serves to convert noises from sound energy into kinetic energy (movement). Thus, when a sound hits the ear drum, it starts to vibrate. This vibration is conducted to a chain of three middle ear bones; the malleus (hammer), incus (anvil) and the stapes (stirrup). The bones amplify the vibrations of the ear drum by acting like levers and conduct the sounds to the inner ear. The inner ear consists of two main parts; the snail-shell-shaped cochlea (the hearing organ) and the vestibular system (the balance organ). For the purpose of this description of hearing, we will refer only to the cochlea. 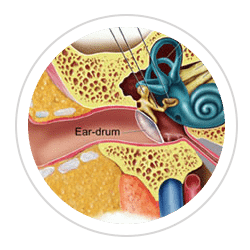 Vibrations from the middle ear bones are conducted to the fluid-filled cochlea through a small opening, called the oval window. These vibrations travel through the cochlea from the base to the tip along a series of membranes which house the cells, called “hair cells”, that detect the vibrations. 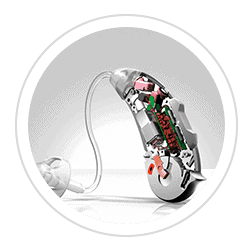 There are many thousands of these specialised cells in each ear, each is tuned to detect a specific frequency of vibration, or “pitch”. Cells near the base of the cochlea are responsible for detecting the higher pitches, cells near the tip of the cochlea are responsible for detecting deeper pitches. 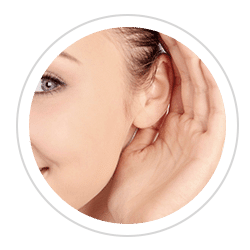 Once a vibration/sound has been detected by the hair cells, they transmit tiny electrical signals from the inner ear, via the hearing nerve (the vestibulocochlear nerve) to the brain-stem and brain where the signals are decoded and the sound is “heard”.